Update 3 (9/1): Bumped to the top. The Hyrule Edition New 3DS XL bundle has sold out as well. Update 2: The Hyrule Edition New 3DS XL has sold out. However, GameStop is now selling a bundle with Zelda: Tri Force Heroes for $240. Update: You can reserve the Animal Crossing: Happy Home Designer New 3DS bundle on GameStop here. 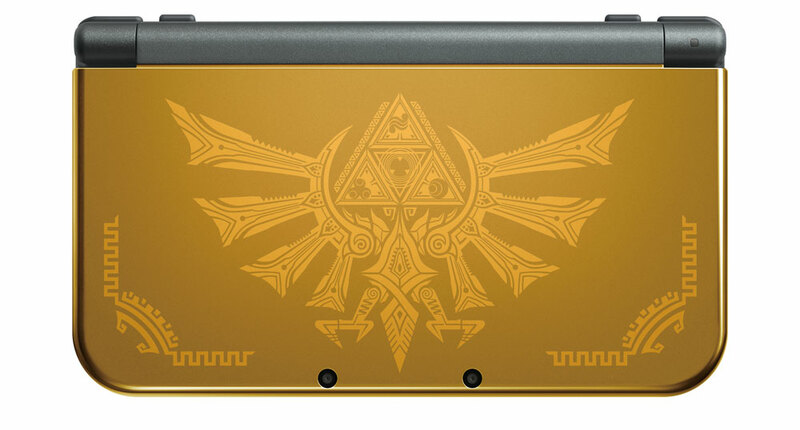 Additionally, the Hyrule Edition New 3DS XL can be reserved here. If you’re having issues with GameStop’s pages, try adding either system to your cart through the search page here. Original (8/31): The standard New 3DS is finally coming to North America, Nintendo announced at the GameStop Managers Conference today. Nintendo will be offering the system as part of a bundle with Animal Crossing: Happy Home Designer. Included in the package is the New 3DS, the game, two cover plates, and one amiibo cards. Pricing is set at $219.99. Just like Happy Home Designer, the new bundle launches on September 25. In other news, a Hyrule Edition New 3DS XL system will be sold exclusively in GameStop stores on October 30 for $199.99. It’s gold-colored and features an intricate Hylian Crest on the front. Nintendo also reconfirmed news that we heard earlier today: Bowser and Toad Wii Remote Plus controllers are due out on September 11, while the Yoshi version will arrive on October 16. All three are GameStop exclusives and cost $39.99 each. Consumers can add $10 to their eShop accounts and get the new Bowser AR card at no additional cost, which can be used in the free Photos with Mario app. Head past the break for today’s full announcement. REDMOND, Wash.–(BUSINESS WIRE)–At the GameStop Managers Conference in Las Vegas, Nintendo announced that the New Nintendo 3DS system will launch in the U.S. as part of a special bundle on Sept. 25. 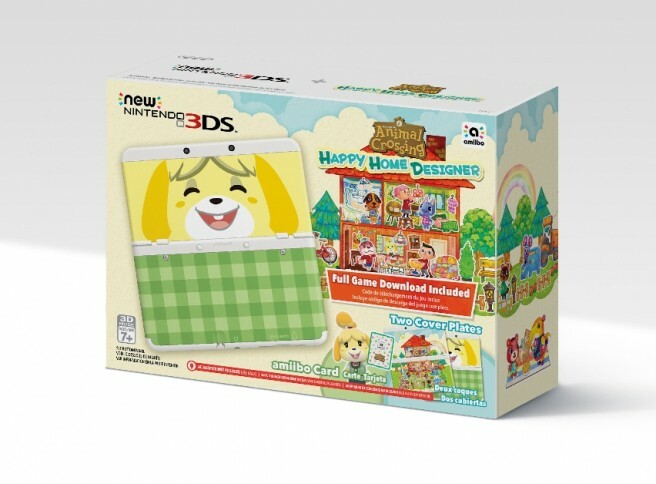 The bundle includes the new hand-held system, the upcoming Animal Crossing: Happy Home Designer game, two cover plates and one amiibo card at a suggested retail price of $219.99. The more compact New Nintendo 3DS system joins New Nintendo 3DS XL, which has been available since Feb. 13. For more information about New Nintendo 3DS, visit http://www.nintendo.com/3ds/new-nintendo-3ds/.